When you notice fluids on your garage floor or in your parking spot when you pull away, it’s alarming. What is it and what do you need to so about it? 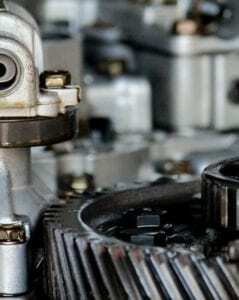 You may need auto repair in Philadelphia, PA or the leak could be normal. Before you panic and worry about huge costs, you first need to figure out where the leak is coming from and what it looks like. When you start to look into where the fluid originates, first make sure it’s really coming from your vehicle. If you see it in your garage and you’re the only one that parks in that spot, you can be pretty certain. If you see it in a public parking lot, it could be you, but it could be dozens of other cars that have been in that spot. If you’re not sure either way, get a flashlight out and look under your car. Once you know for sure the leak is coming from your vehicle, stuck cardboard or a big sheet of paper under your vehicle so you can catch some of what is leaking and determine what it is. The color of the fluid will tell you a lot. Red or pink fluids are generally transmission or power steering fluid. Those are two things you really don’t want to leak and you should get auto repair right away. Orange fluid could be an indicator of rest in the radiator or it could be transmission fluid. Neither is a great sign for your vehicle and you want to get it in for repairs right away instead of ignoring it as well. Yellow is usually a coolant which, if you use the wrong kind, there could be more leaks form the radiator. Brown fluids can come from several areas like brakes, the motor and so on. If it’s light brown, it’s probably motor oil. Dark brown is more often brake fluid, but either way, you need a mechanic. Then there’s clear fluids. This is the one you want to see because it’s usually nothing to work about. Clear fluids are condensation from the air system in your vehicle and totally normal. If you see clear fluid, you can still get things checked out if you’d like, but it’s not always necessary. If you can’t identify your leak, it’s best to get into a Philadelphia, PA auto repair shop sooner rather than later so you don’t take any chances. Small repairs now can save you a lot of money down the road and you don’t want to take a vehicle around that isn’t going to be reliable. Contact Schafer’s Auto Center at (215) 755-1270 to set up an appointment. You can also just stop in and talk to the technicians at SAR. We’re located at 1924 S Columbus Blvd Philadelphia, PA 19148. Tell us what the fluid looks like or bring in the sample you’ve collected, and we’ll pinpoint what’s going on and make recommendations to you. We want your vehicle to run as well as you want it to.